According to the 2013 Open Doors on International Education Exchange Report, about 283,000 American students went abroad in a single year for academic credit. Many of them love the countries they visit, and they decide to return after graduation, opting to become English teachers to financially support their time overseas. Completing on online master’s degree and earning TEFL credentials (like an online TEFL master’s program) can put students into the fast lane for English teaching positions. It also gives them the chance to return to America with both a master’s degree and teaching experience on their resumes. One common challenge that overseas English teachers encounter is how to correct their students’ English pronunciation without making them afraid to speak in front of peers. 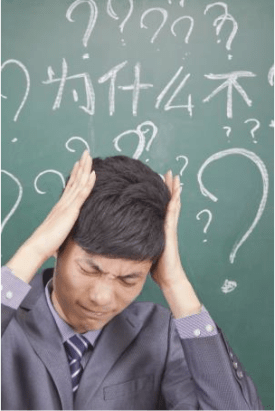 To strike the right balance, ESL teachers should learn the most common pronunciation errors that students make along with simple strategies for correcting students without discouraging them. What Are the Most Common English Pronunciation Problems? “Th.” Many students pronounce “th” the way that “th” is pronounced in the word “Thames.” Let students know this is the least common way to pronounce “th.” Also, when pronouncing “th” as in the word “three,” remind students that there is no vocalization during the “th” sound. The schwa. The schwa sound is the “uh” sound that is unstressed, such as the second syllable in the word “chocolate.” Many students try to pronounce every syllable instead of flowing over the schwa. Provide them with examples of the schwa and how to de-stress it in their speech. “L” vs. “r.” These consonants are often challenging to students from Japan and other Asian countries. Focus on tongue position and on mastering each sound individually before trying to mix “l’ and “r” in conversation. “V” vs. “w.” Another pronunciation common to native Slavic and other Eastern European speakers is to substitute a “v” sound for a “w” sound. Teach students to start by shaping their mouths to say “o” and then relaxing the lips to form the “w” sound. Silent “e.” Students may pronounce the word “not” and “note” the same way. They understand that the “e” is silent, but they don’t understand how it changes the pronunciation of the word. Practice with word pairs, showing them how the extra “e” magically changes the pronunciation of the vowel. Silent consonants. English uses many silent consonants. For example, the “d” in the word “Wednesday” is not pronounced, but students may not understand why. Pesce suggests writing the word on the board and crossing out the silent letter. Speak the word, have the student repeat it, and then have the student write it down and cross out the silent letter. How Can Teachers Make Corrections Without Discouraging Students? Students can be self-conscious about grammatical errors, but they’re usually even more self-conscious about pronunciation errors. How teachers respond depends greatly on the personality of the students and on the emotional safety of the classroom. In a culture that is more deferential or in a classroom of quieter students, avoid asking the student to repeat the word multiple times. Also, avoid asking another student what the speaker meant to say. Even with more spontaneous and good-humored students, avoid making fun of a mispronunciation or allowing other students to mock the person who made the error. In all cases, teachers should avoid making fun of student errors, even if the student seems to have a self-deprecating sense of humor. Teachers can make notes of common pronunciation errors made by multiple students for the whole class to work on together. They can also jot errors on note cards and hand the note cards to individual students. In many cases, providing students with a checklist of common mispronunciations, particularly before a presentation, can help them to prepare beforehand and to avoid making pronunciation errors. ESL teachers have to balance the joy of learning language with the necessity of correcting mistakes. By respecting students and providing specific learning strategies for errors, they can make learning fun while also fostering excellence.